Ask any successful business leader and they’ll tell you work isn’t merely their career — it’s a pure expression of their personality. One key aspect of Tony Robbins’ Business Mastery is discovering your individual leadership gift — and how you can cultivate your uniqueness. Are you a Manager, incredibly effective at improving systems and processes, making organizations efficient and more effective? Perhaps you’re an Artist who loves to design and create products and experiences of enormous, unparalleled value? Or, are you driven by the massive rewards of taking big risks, always on the scout for opportunities and talent, like an Entrepreneur? Mehdy Ghannad, a travel program producer from Miami, Florida, recently attended Business Mastery and was astounded to discover how learning his unique leadership gift empowered him to better manage his team. 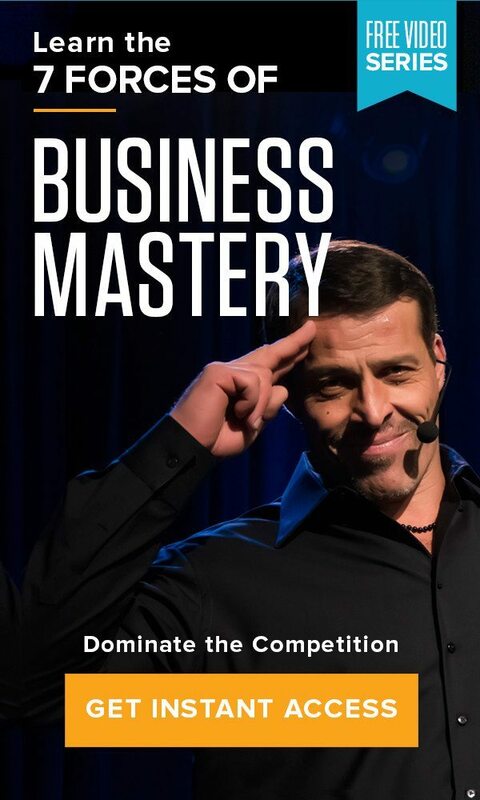 At Business Mastery, Mehdy learned that his core leadership gift and greatest effectiveness was in the style of the Manager – despite previously thinking he was an Entrepreneur with a little bit of Artist. This realization was his missing puzzle piece. Understanding his true core drivers and strengths has allowed Mehdy to attain a new perspective on how to move forward in his business and career, while also being able to connect better with his entire team. As a first-time attendee of Business Mastery, Mehdy now recommends the event to everyone who not only wants to take their business to the next level, but more fundamentally understands their innate gifts in order to become a truly effective and powerful leader.